Catering Connection is chef-owned and operated by founder Ursula O’Neill. Ursula has built her company on the key values of integrity, honesty and hard work. These principles, combined with the level of personalized service extended to her clients, have secured a loyal following for Catering Connection, and a sterling reputation in the Santa Barbara area. Ursula’s culinary career began in Ireland and London, where she worked the gamut from Pastry Chef to Chef de Cuisine. Her experience ranges from events for 3000 at exclusive London Park Lane hotels to preparing an intimate dinner for Ronald and Nancy Reagan and their guest Margaret Thatcher at the Reagan Ranch right here in Santa Barbara. Our dedicated and highly creative team of employees are unrivaled in their knowledge of food and the processes of event production. From small gatherings of 10 to gala dinners of thousands, all of our events have a common thread: the overwhelming satisfaction of our clients. Our talented staff and brilliant chefs have earned Catering Connection the long-standing trust of a diverse set of clientele and maintained our reputation for quality food, unique design and unwavering attention to detail. 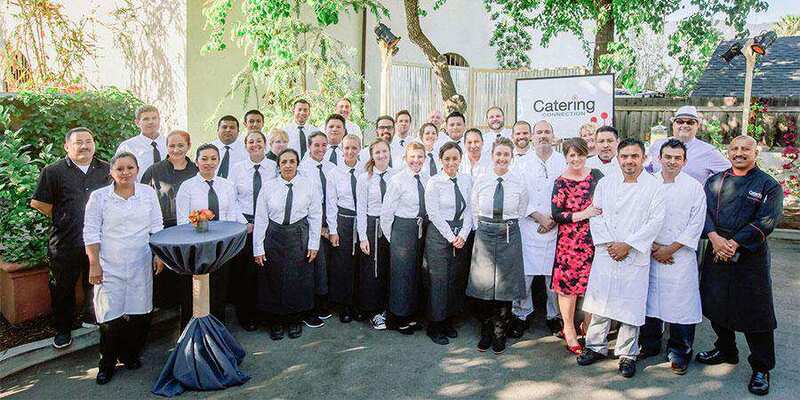 When the Catering Connection team plans a catering event, the delicious menu and outstanding service remain in the guests’ memories long after the celebration is over.